At Theatre Kidz! we pride ourselves in providing quality training while still making our classes original and fun. We believe everyone should be able to enjoy performing arts so our classes are all inclusive with no audition process. 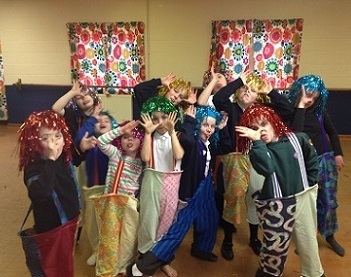 Getting involved with drama, dance and singing is a great way to stimulate imagination, increase confidence and make friends while in a safe and welcoming environment. Come along and begin a lifelong love for the theatre stage at our classes in Topsham, Clyst St Mary and Honiton!